I come. Free of disguise. In “Circles in the Sky” the throat is “my throat zone/ of avoidance buffaloing the sky above…” and crossing one of the Dakotas by automobile becomes a cosmic trip “the way cross/country/has always/been/lugnnutted/ to a wheel carto-/graphic”. 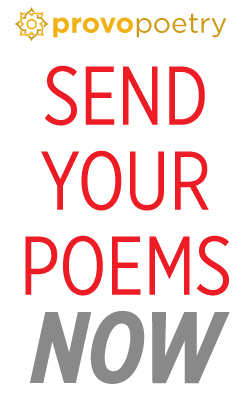 These are poems that have an urgency and lust for language, poems that feel like they’re vibrating at high speed over rumble strips on the side of the highway—poems about to go off-road. Some of them actually do, regrettably, heady innovation turned to gimmick and mimicry. (Her “Hinterland Ham Radio Signals” comes to mind.) But this is a prodigious talent to sit up and take notice of and over-reaching of this forgivable kind is inevitable. Not only is Bertram’s language here fresh, nuanced, full of hard light but the content is expansive. Titles of the poems give you a hint of that landscape, literal as in “Giclee Self-Portrait With Mount Rushmore” to the figurative as in “Rex Mundi, or, Watching My Father Paint What He Knows of the Horizon.” References to and “glosses” on the work of other poets and writers as well as to the singer-songwriter Josh Ritter abound. Bertram is full of contradictions and confessions in But a Storm is Blowing From Paradise. The effect it has on the reader is to crane the neck for the next gem underscored as it is by the poet’s uncanny ability simultaneously to expand galactic-ally while collapsing in on neurons, the American prairie, the four chambers of an antiseptic heart. Lillian-Yvonne Bertram’s But a Storm is Blowing From Paradise (selected by Claudia Rankine as winner of the Benjamin Saltman Award) is a finalist for the 2013 15 Bytes Book Award in Poetry. An Assistant Editor at Quarterly West, and a Vice-Presidential Fellow at the University of Utah, Bertram has had work appear in Black Warrior Review, Callaloo, Gulf Coast, Harvard Review, Indiana Review, Narrative magazine, Subtropics, and other journals. This is her first book.